And it's over! 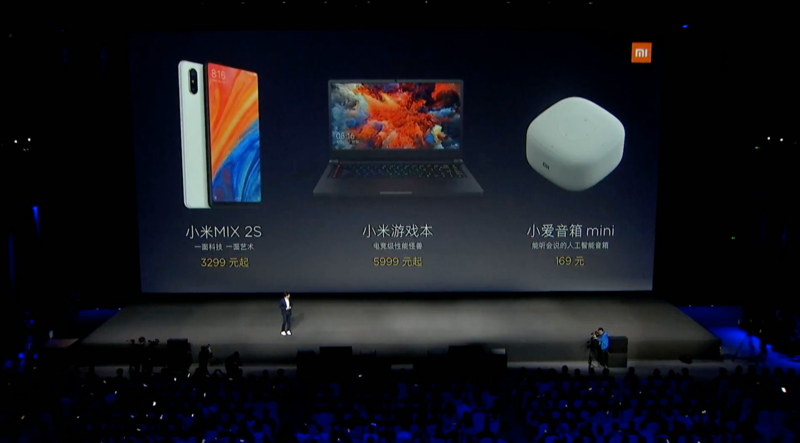 We'll have hands-on impressions and videos from the event later, but until then let's look back at the three products Xiaomi announced today. 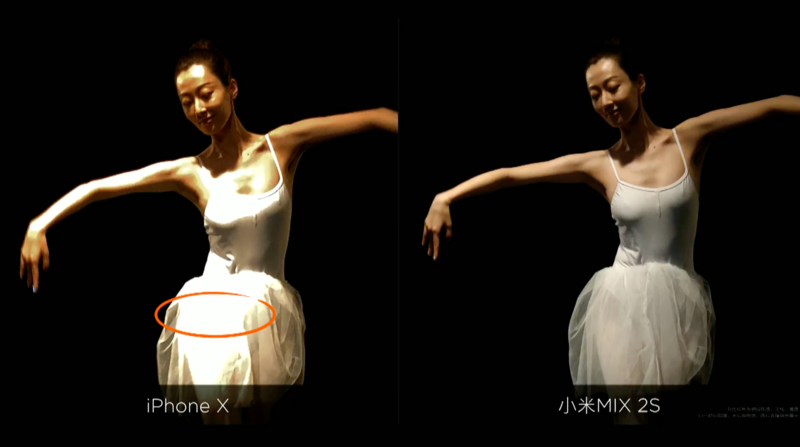 Xiaomi showed off their new flagship phone first. From the front it looks like the Mi MIX 2: Super thin bezels on the top and sides, a thicker chin at the bottom for the selfie camera. But the back is pretty different... and familiar, with a two-camera system stacked vertically in a little oval module that looks an awful lot like the iPhone X.
Lei Jun says it's the first Chinese handset with a Snapdragon 845 CPU, which is on some Samsung Galaxy S9 handsets. 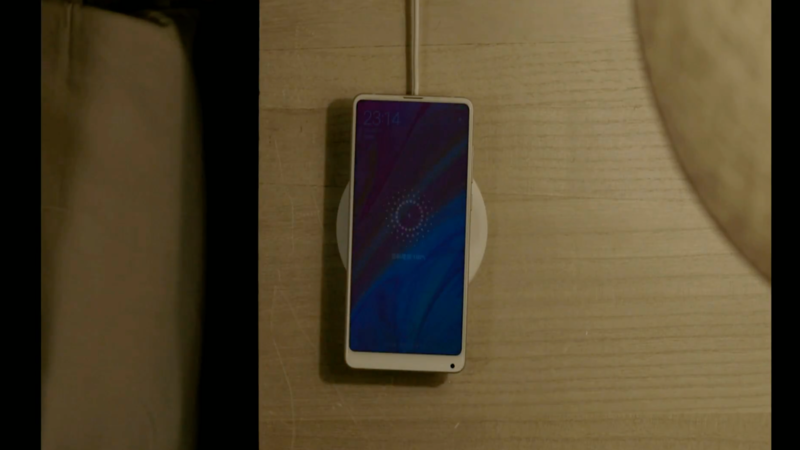 The phone also supports wireless charging, and Xiaomi will sell a new wireless charger for US$15 -- far less than Samsung or Belkin's chargers, but comparable with Anker's. 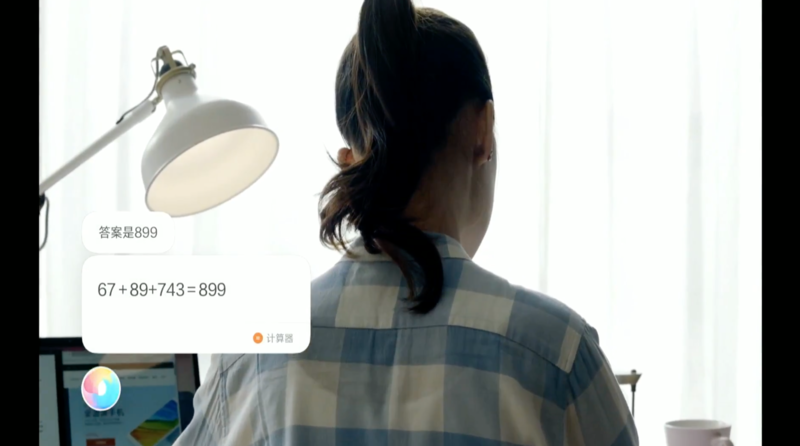 Xiaomi also touted its voice assistant, which can answer simple questions, control home devices and even control functions on the phone itself like Samsung's Bixby -- Xiaomi showed it posting pictures to WeChat. 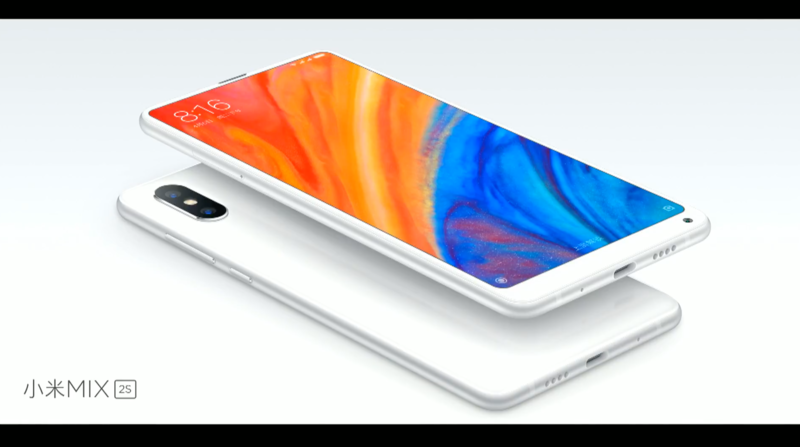 The base model (with 6GB of RAM and 64GB of storage) will cost US$528, while the premium model (with 8GB of RAM and 256GB of storage) costs US$640, and includes Xiaomi's wireless charger. Xiaomi's next product was a gaming laptop that seemed directly targeted at Razer, judging by its bright and colorful keyboard. The laptop sports a 15.6" screen and plenty of muscle under the hood, with a GeForce GTX 1060 with 6GB of RAM and Dolby Atmos audio. It also had plenty of vents and ports to keep it cool, including a special button on the keyboard to supercharge the cooling fans. 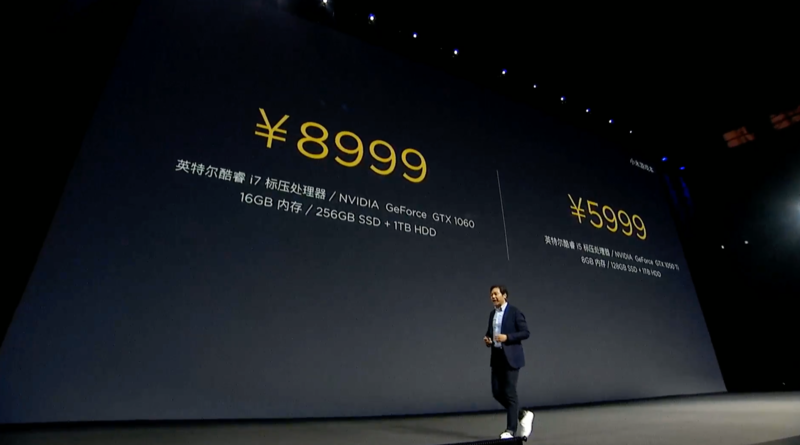 The laptop's base model starts at US$959, and the premium one costs $1438 -- which Xiaomi says is half the cost of competing laptops. 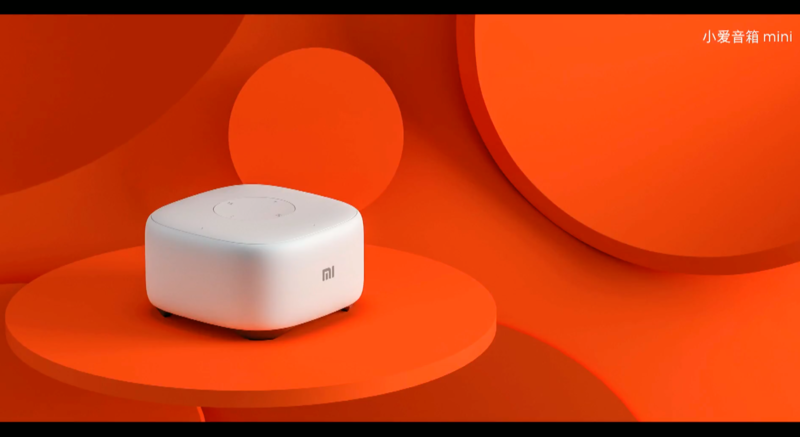 Finally Xiaomi also showed off a small speaker for its AI voice assistant. Think of this as Xiaomi's own Echo Dot, a smaller and cheaper version of their existing speaker, able to control your home, play music and answer questions -- just like Google Home or Amazon Echo. And it is cheap: It costs just $27. Don't forget we'll have hands-on video and impressions of all of these products, so check back soon! 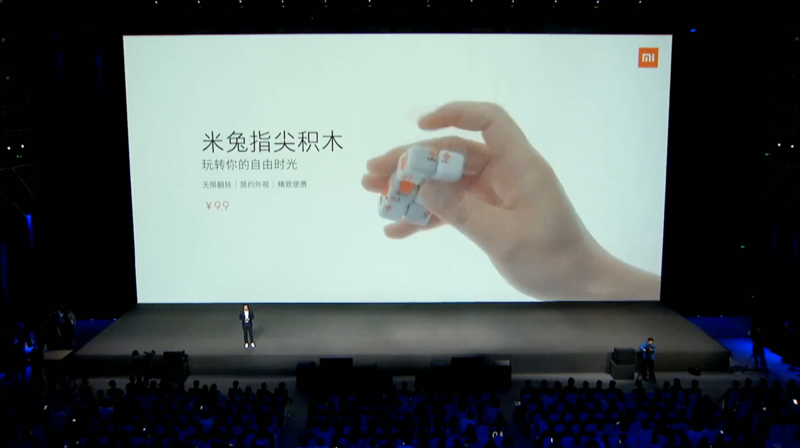 Before wrapping up Lei Jun also showed off a few other things including a Lego-like robot kit for kids as well as a transforming fidget cube. 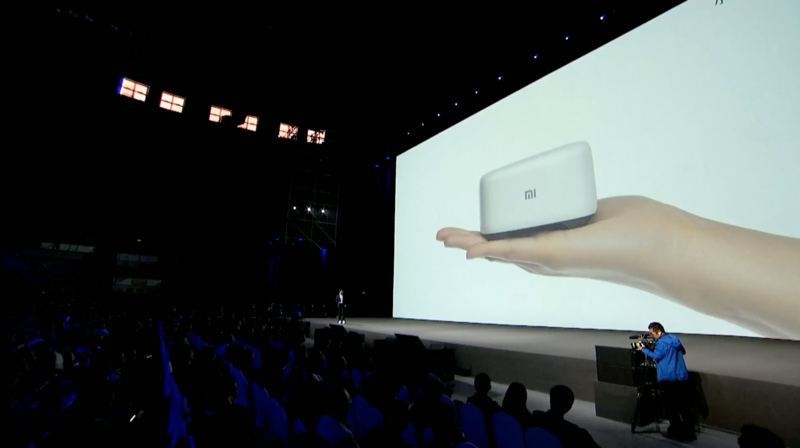 Lei Jun has one more surprise up his sleeve... the Mi AI Speaker mini -- a voice-activated speaker for their AI assistant. It will cost US$27 (169 RMB). The premium Xiaomi gaming laptop will cost US$1438 (8999 RMB) while there is also an entry-level model available for US$959 (5999 RMB). Lei Jun says it costs "half its competitors." "I didn't write this part of the PowerPoint," says Lei Jun, as he explains the cooling features inside their new gaming laptop. It appears to have plenty of vents, and even a "tornado" button to supercharge the cooling system. 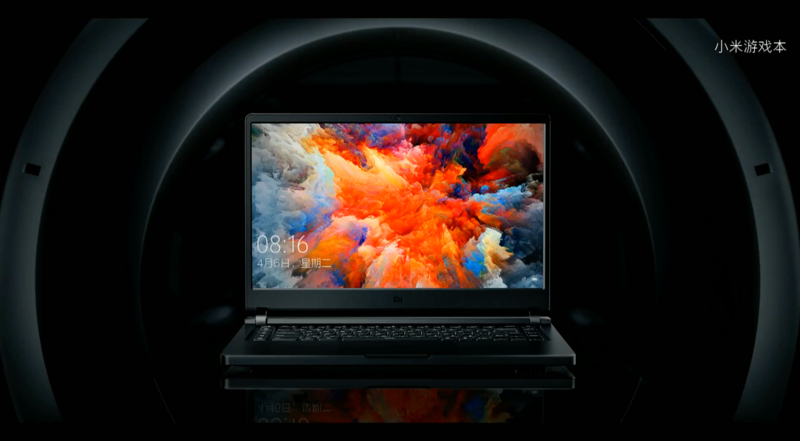 Lei Jun has just announced a surprise -- Xiaomi is making a gaming laptop with a colorful keyboard, which shows who it is aiming at... Razer. The Mi MIX 2S will cost US$528 (or 3299 RMB) for the base model. 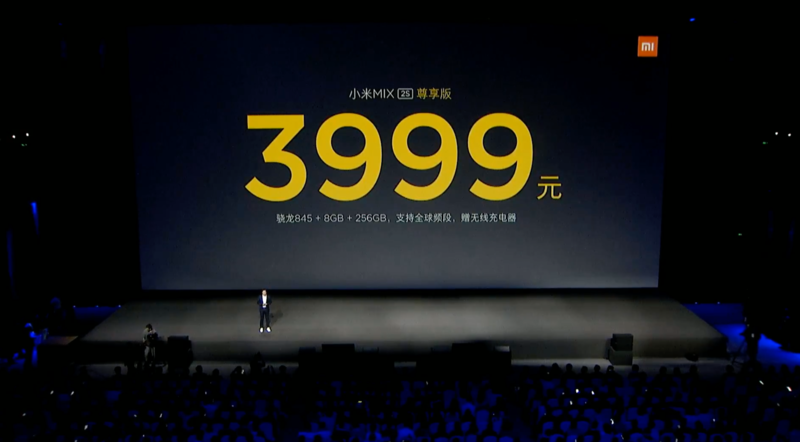 The premium model with more RAM and storage space will cost US$640 (3999 RMB). It also includes a wireless charger. Lei Jun asked why wireless chargers aren't popular -- before presenting the answer to his own question by showing how expensive some chargers are. 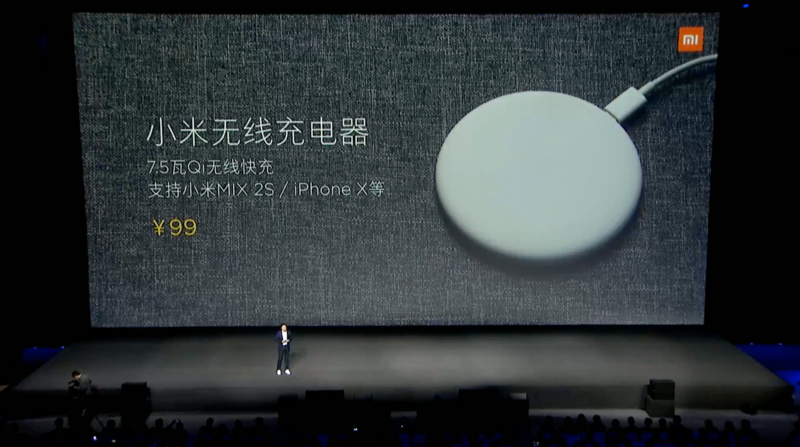 He unveiled Xiaomi's own wireless charger for just 99 RMB, or about US$15. It's far cheaper than wireless chargers in the Apple Store from Belkin and other companies, but comparable in price to Anker's excellent chargers. Lei Jun couldn't resist another dig at the iPhone X, saying you can "show your contempt for iPhone users when they use your charger for their phones"! 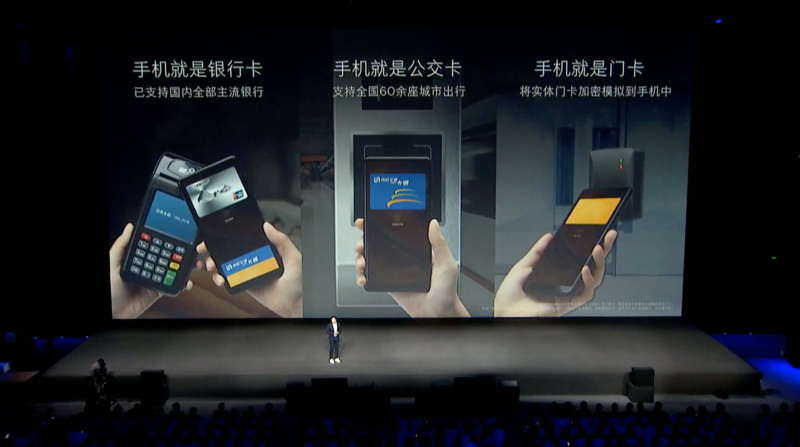 Lei Jun talks up the phone's NFC capabilities for payment and unlocking your apartment door. Interesting that they're talking about NFC for payment, because that's a feature bigger in the rest of the world than China, where QR codes are far more popular -- since all they need is a camera. 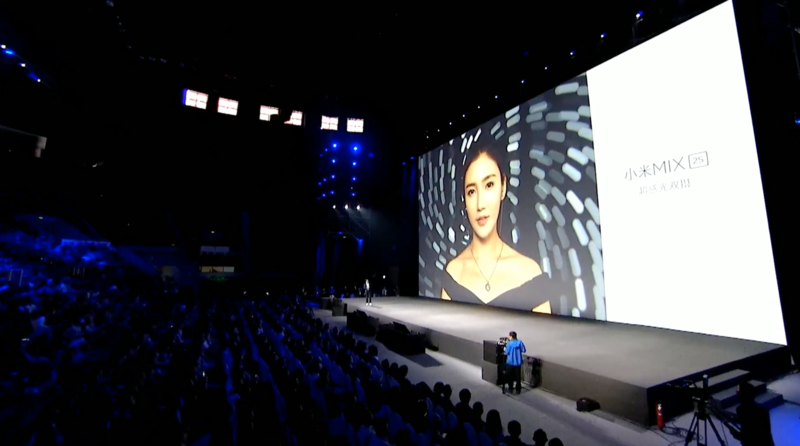 Xiaomi is showing off their own voice assistant. 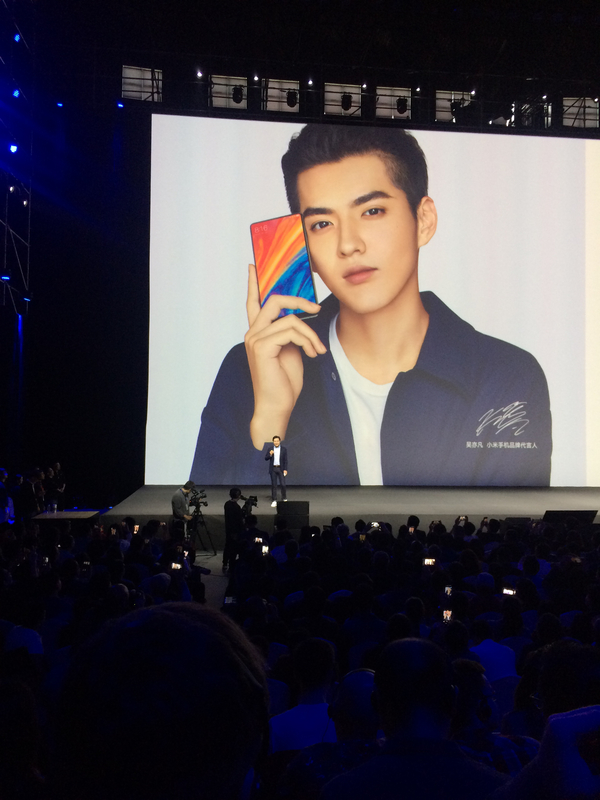 It looks like it can do the standard things: Answer questions, control home devices, perform calculations, even post photos to WeChat (which got a roar of approval from the crowd). It looks and sounds like a mix between Google Assistant and Bixby. 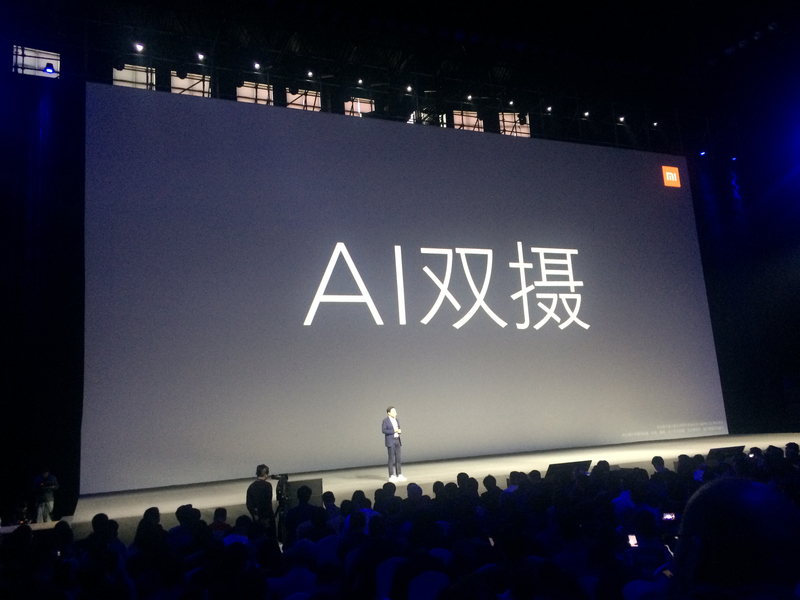 Lei Jun also compared Xiaomi's voice assistant with Siri -- but not before apologizing for comparing the phone to the iPhone X yet again. The MiMIX 2S also supports wireless charging. 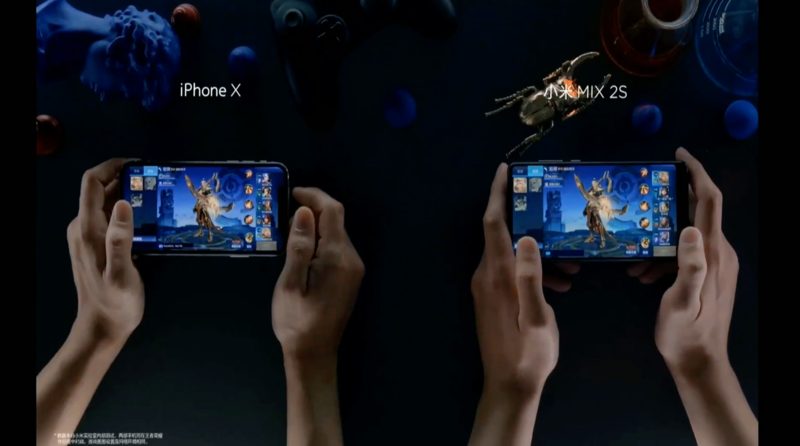 Now Xiaomi is comparing Arena of Valor (Honor of Kings in China) on Mi MIX 2S versus iPhone X, showing how much faster the game is on their device. 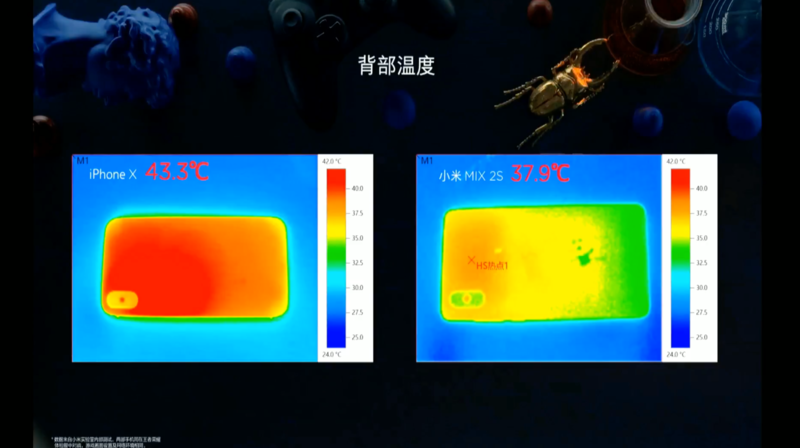 They even compared how hot the two handsets get -- Xiaomi says the iPhone gets much hotter than the Mi MIX 2S. 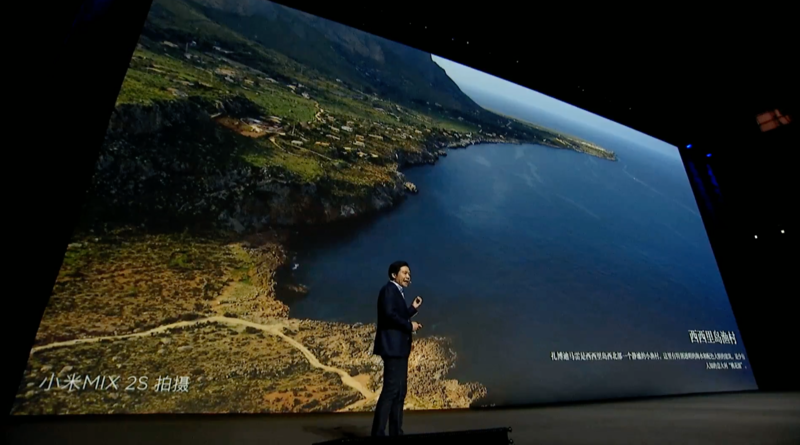 Lei Jun says it's the first phone in China with a Snapdragon 845 CPU, which is also on some Samsung Galaxy S9 phones (some come with the Samsung Exynos chipset instead). 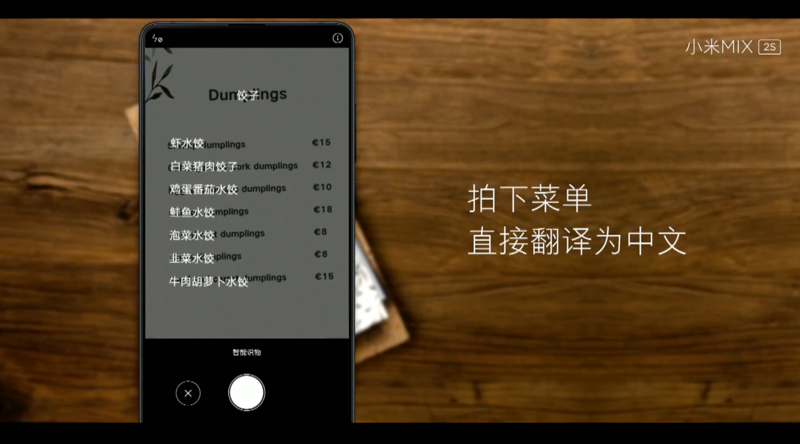 Lei Jun says the device can provide real-time translation of text as well as currency conversion. 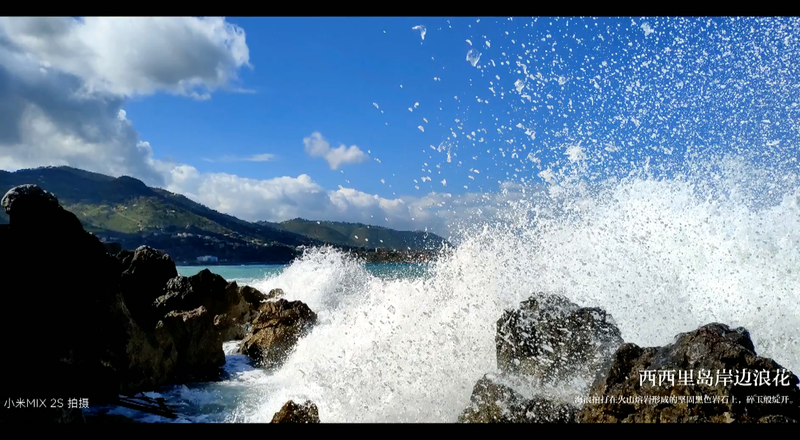 Xiaomi is explaining how they are using AI in the camera -- letting you create a "dynamic bokeh effect." Lei Jun just said "in this one, we crushed the iPhone X." 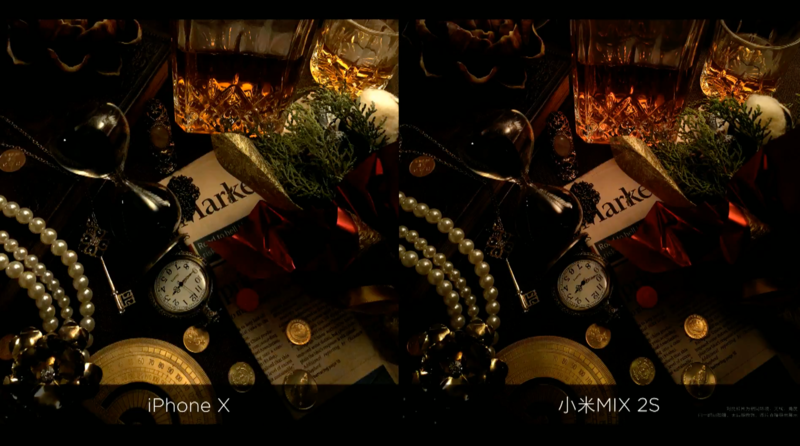 Xiaomi is comparing the cameras of the Mi MIX 2S to the iPhone X. 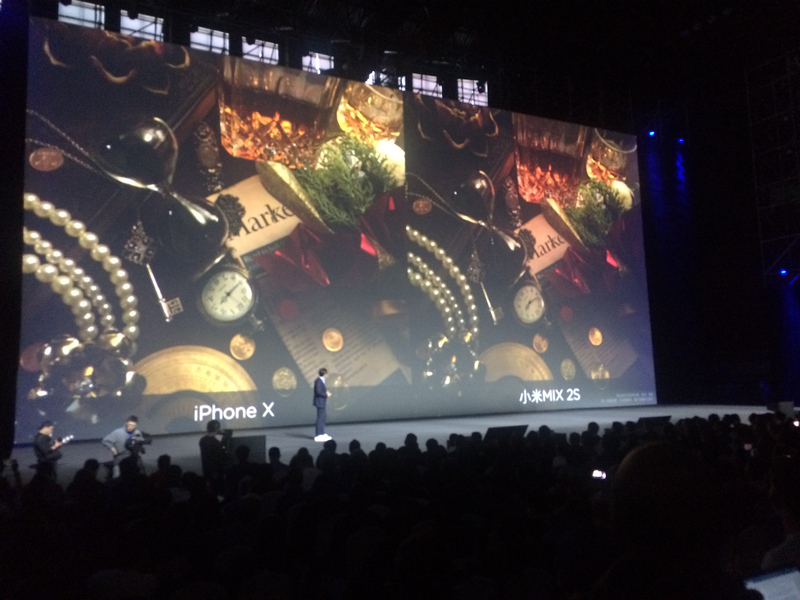 Here they are highlighting the low-light performance. In case you're wondering, this guy is Kris Wu -- former member of the boy band EXO, and one of the most popular artists in China. Seems like there are two camps of smartphone design: Either you have a notch for the selfie camera on top, or a big bezel on the bottom. Xiaomi is in the latter camp. Which do you prefer? 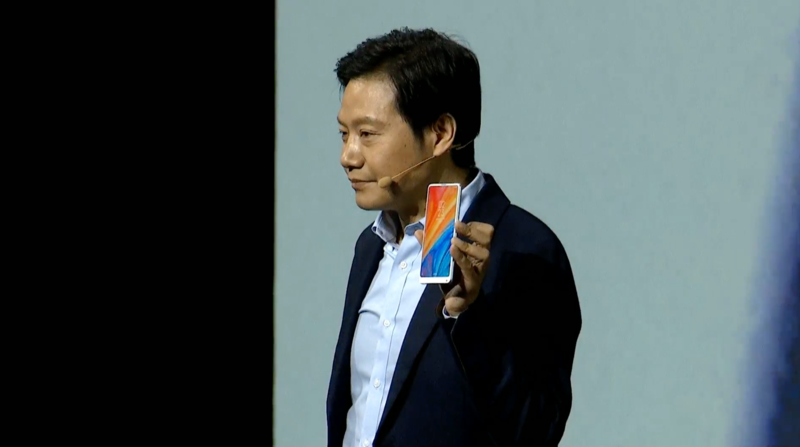 Lei Jun is talking about the colors. The Mi MIX 2S comes in black with gold highlights and white with silver. The handset has a fingerprint sensor on the back. The bezels are super thin on the top and sides, but much thicker on the bottom -- where the selfie camera is, tucked in the bottom right corner. 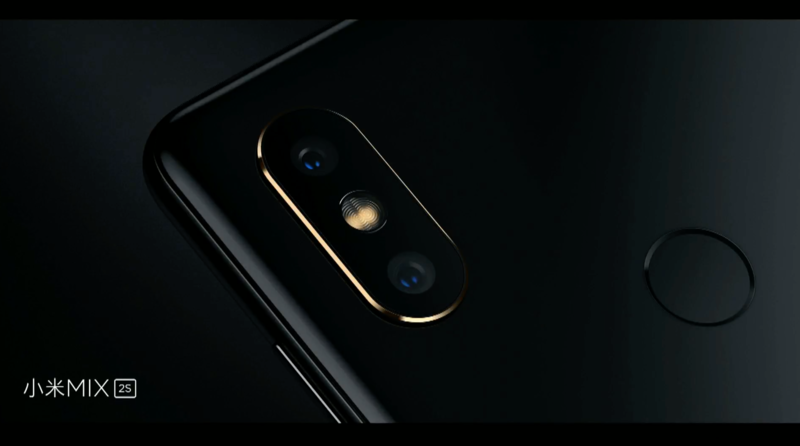 Unlike the Mi MIX 2, which has the cameras in the center, this has a dual-camera system on the left edge of the handset. Both lenses are stacked vertically with the flash in the middle. 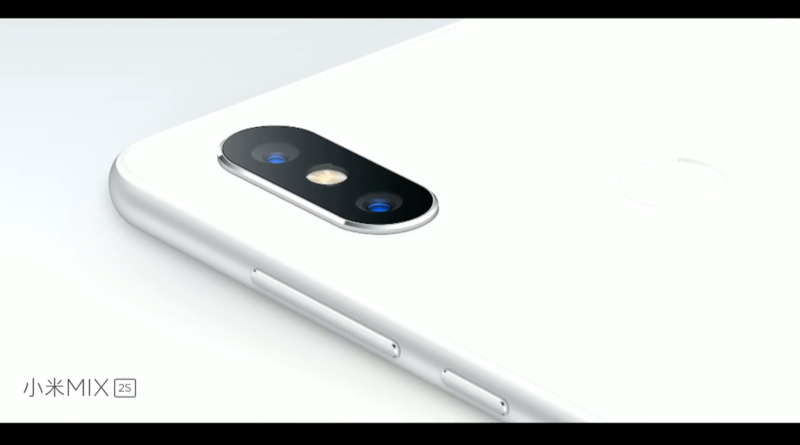 It has to be said: It resembles the iPhone X. 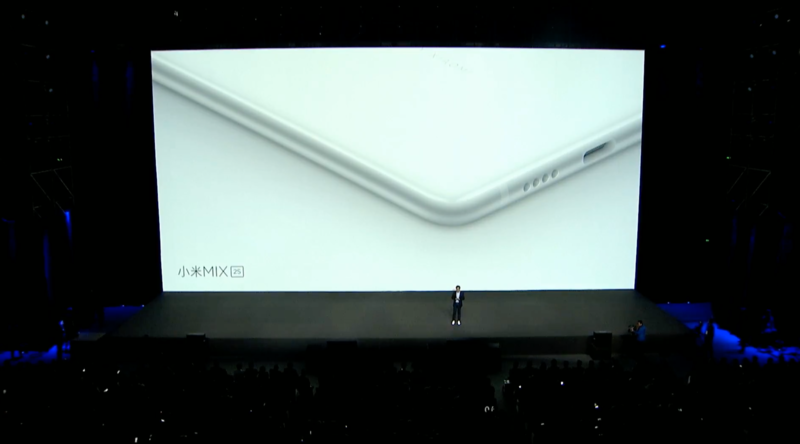 After a short video, Lei Jun announces the Mi MIX 2S. 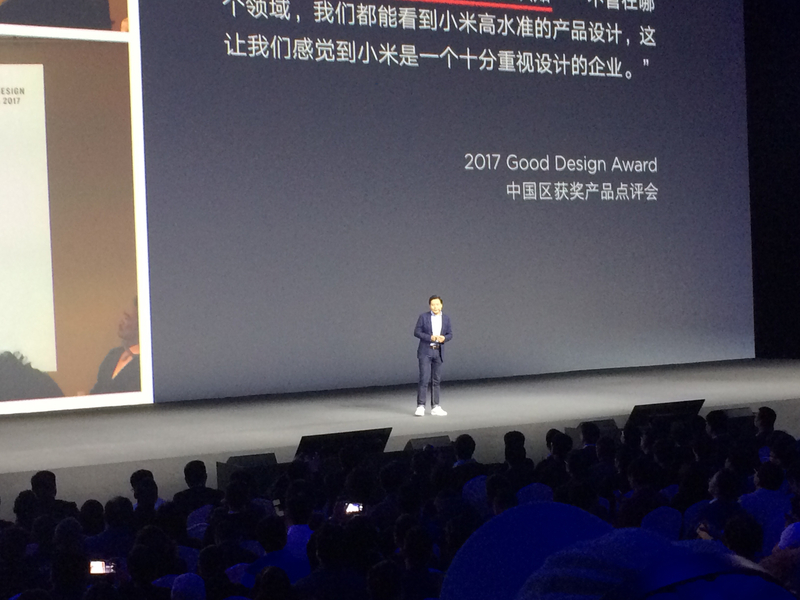 Lei Jun is talking about the number of design awards Xiaomi has won, saying people now see Xiaomi phones "as art." 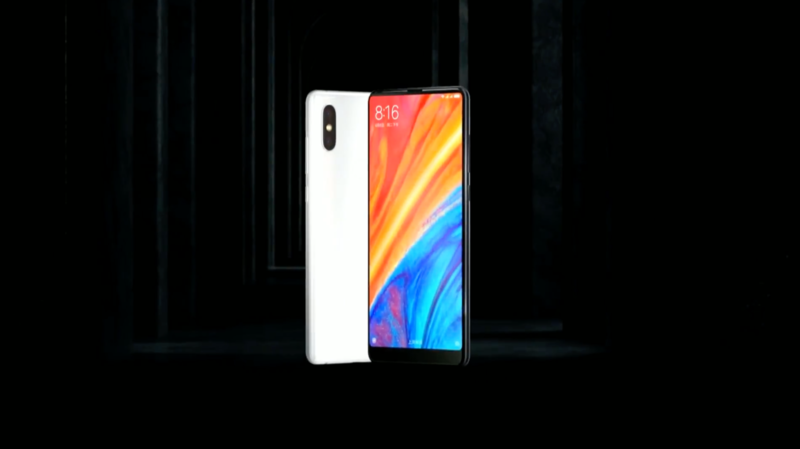 The company has long been compared to Apple and accused of copying their designs -- now Xiaomi's CEO is trying to emphasize how different they are. Here's the part of every keynote where companies recap their numbers. Lei Jun went over Xiaomi's market share and growth in the last few years. Lei Jun, founder of Xiaomi, has taken to the stage. 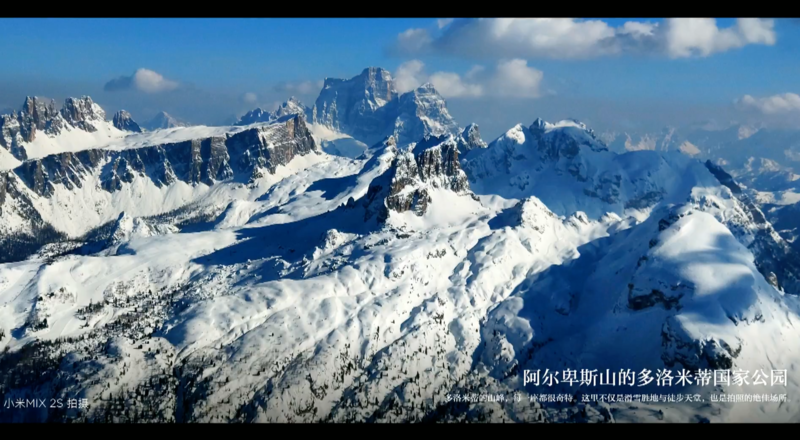 Xiaomi's global spokesman Donovan Sung has been teasing a few things about the new Mi Mix 2S. It looks like the phone will have super-thin bezels on three sides plus a thicker border at the bottom -- that could be where the selfie camera is located, just like its predecessor Mi Mix 2. 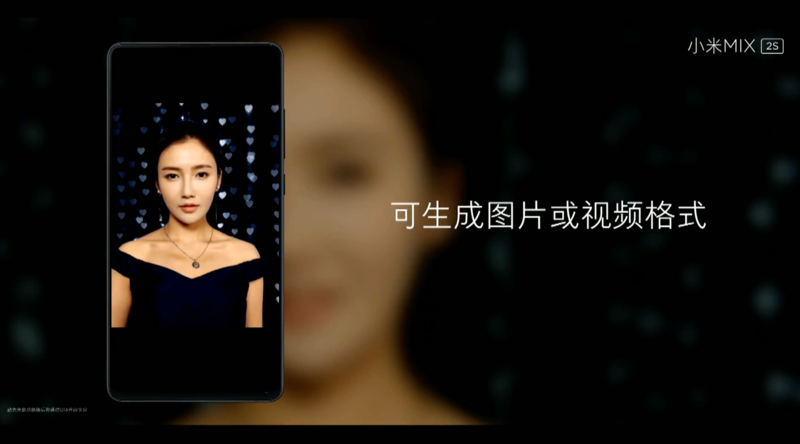 Sung also says the Mi Mix 2S will come with an "AI dual-camera", a top-end Snapdragon 845 processor and wireless charging. 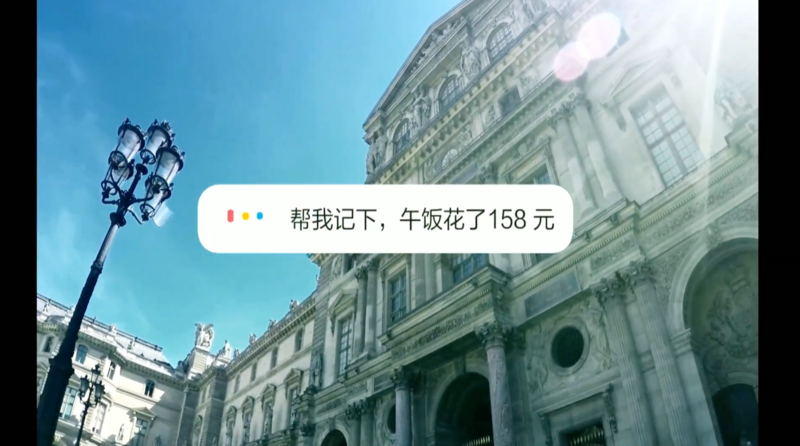 We'll have live updates on this page right here -- just come back when the countdown timer on top hits zero and we'll have all the details from Xiaomi's big event! We're around half an hour away until the event starts. Stay tuned!